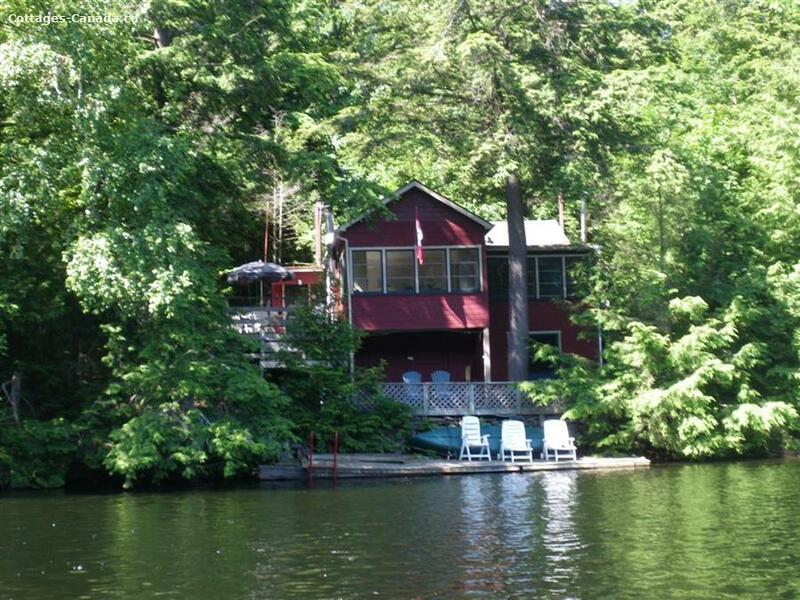 Charming drive-in three-bedroom waterfront cottage nestled in a hemlock forest on a quiet private bay of Six Mile Lake in south Muskoka. Water and woods views from every window. Lunch on the deck overlooking the lake or enjoy walk-in swimming or diving off the end of the dock. Catch the sunrise, then swim across the bay and back before breakfast. 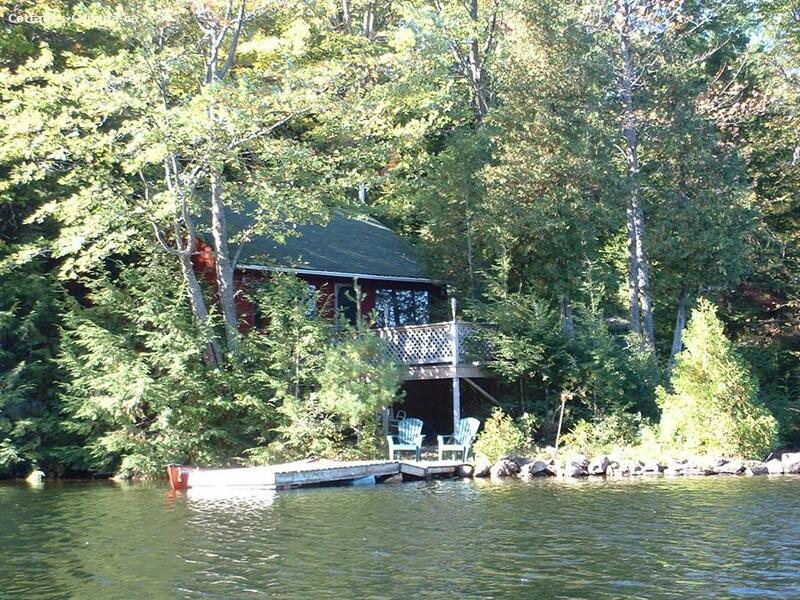 Cottage enjoys good fishing, swimming, boating, canoeing, cycling and local attractions. Amenities are full kitchen and bath, BBQ, wood stove, outdoor fire-pit, canoe with paddles, lifejackets. Westwind, a two-bedroom cottage, with its own private dock and deck may also be available. Canoe with paddles and life-jackets. Possibly a row boat. Barbeque, wood stove, firepit. The dock is suitable for swimming and your boat. Close to the Severn canal system, Big Chute marine railway, Six Mile Lake Provincial Park, White's Falls, Honey Harbour, biking trails etc. One week rentals are Saturday to Saturday. Confirmation/agreement will be forwarded to you; return the signed agreement along with your deposit. Balance due prior to occupancy. Check in 3:00 pm, check-out 11:00 am unless otherwise arranged. Weekend arrangements available upon request.